A limestone rock rising above the Vistula in the centre of Kraków, an ancient centre of power: legendary – connected to Krak or Krakus, the mythical founder of the stronghold and his descendants, and historical: ducal, princely, ecclesiastical, and royal. Visiting the complex of the castle and sacred buildings is certainly the duty of any visitor, but what a sweet duty it is! 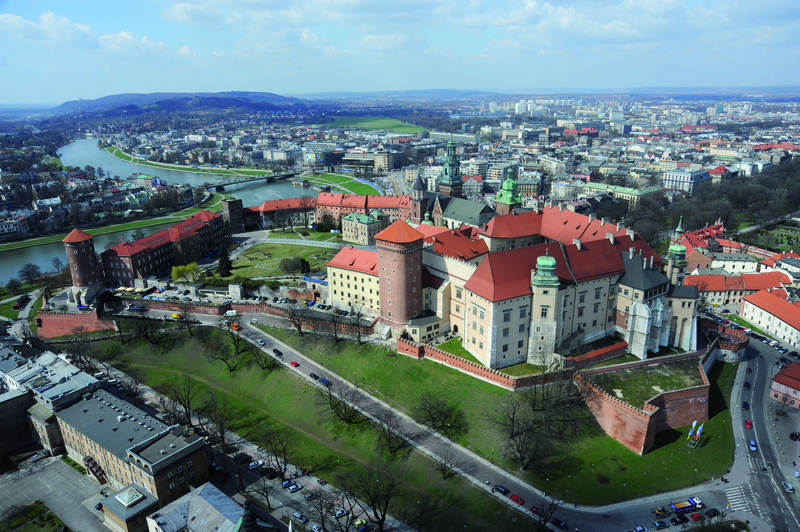 The first traces of human presence on Wawel date back to tens of thousands of years ago. Already at that time the elevation among the riverine marshes and bogs provided a perfect shelter. Legend holds that a dragon roosted here later, so strong a beast that the most powerful warriors could not best it, until it was finally vanquished by a smart shoemaker’s apprentice. The tale is conjured up today by the Dragon’s Den at the foot of Wawel and the monument to the beast standing in front of it. The first solid structures were put up on the hill probably as early as the 9th century, even before the beginning of the Polish state, and served the chieftain of the Vistulan tribe holding sway over this land. 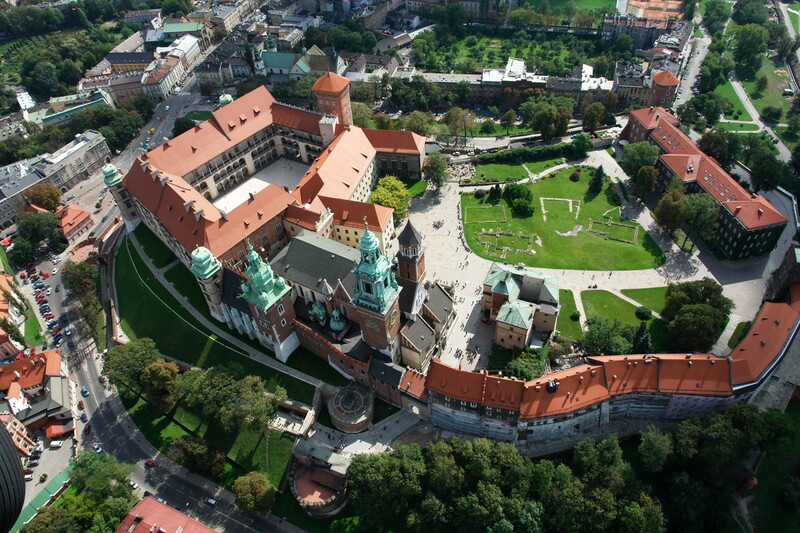 With the incorporation of Kraków and Małopolska to the Piast state, Wawel remained the centre of lay and sacred power. In the 10th century the hill was already topped by a stone hall of the duke (or chieftain) and numerous churches, and after Kraków became the seat of the bishopric in AD 1000, a cathedral was built as well. The relics of the oldest structures (including the Rotunda of the Blessed Virgin Mary from the 10th century) and reconstructions of edifices from the early medieval times can be admired today at the Lost Wawel exhibition. It also presents a model of the establishments that developed on the hill around the castle, and survived until the end of the 18th century. 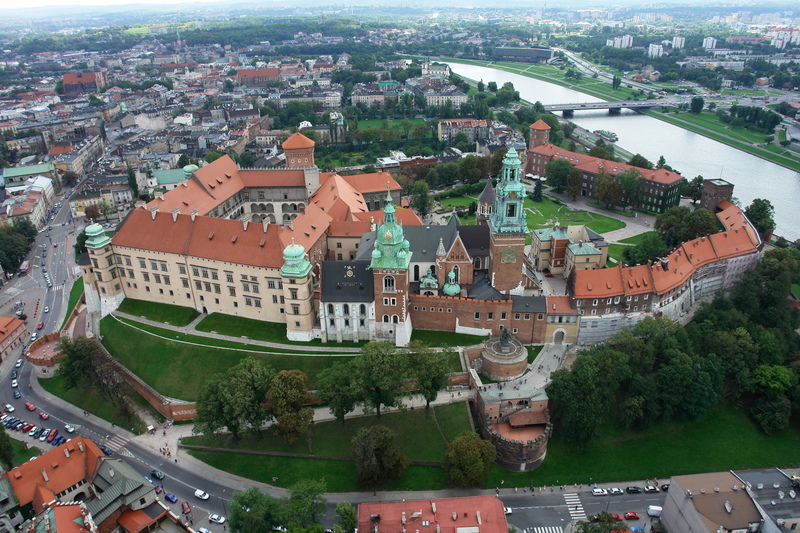 In the 11th century, Wawel became one of the main seats of the central power. Developing here in parallel were lay and sacred structures, raised in a succession of styles: Romanesque, Gothic, and renaissance. The last, in its north-European version, reached its apogee under the rule of the last of the Jagiellons: Sigismund I the Old (Zygmunt I Stary (d. 1548) and Sigismund II Augustus (Zygmunt II August (d. 1572)). 16th-century Wawel was an important centre of humanist culture, and the royal court maintained contacts with many artists all around Europe. Thanks to Italian architects of the calibre of Bartolomeo Berecci, the former medieval castle transformed into a palace-like residence with an impressive arcaded courtyard, without losing its defensive functions. Of the early Wawel fortifications, three towers have survived: Sandomierska, the Senators’ and the Thieves’ (Złodziejska). 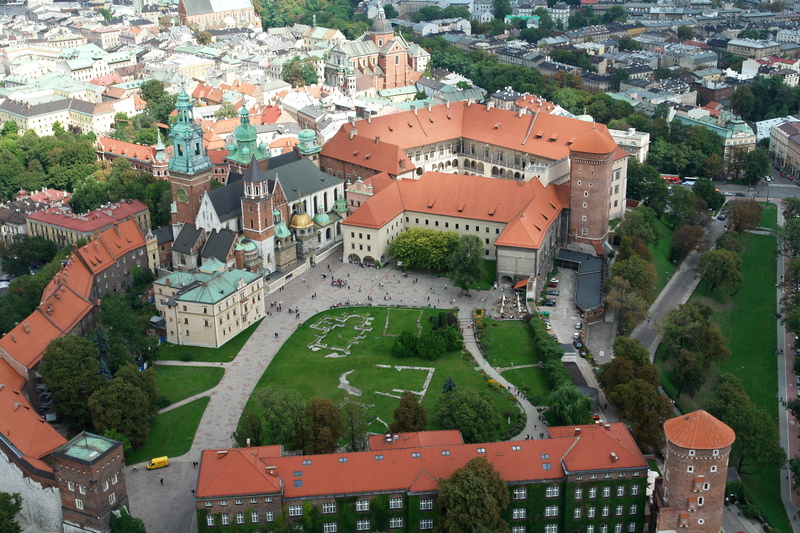 In the 17th century, Warsaw became the main seat of the king. The court also moved to a new place, and Wawel Castle began to fall into disrepair. The Swedish raids in the second half of the 17th century brought an end to its heyday. At the time, the leading role on the hill was played by the court of the bishop and his cathedral, which retained the function of the venue of coronations and royal funerals. It was only the last King of Poland, Stanisław August Poniatowski, who received the crown in Warsaw (1764), and not in Wawel. Following the Third Partition of Poland in 1795, Kraków was incorporated into Austria and throughout most of the 19th century remained in the hands of the military: first as a hospital, later as barracks. 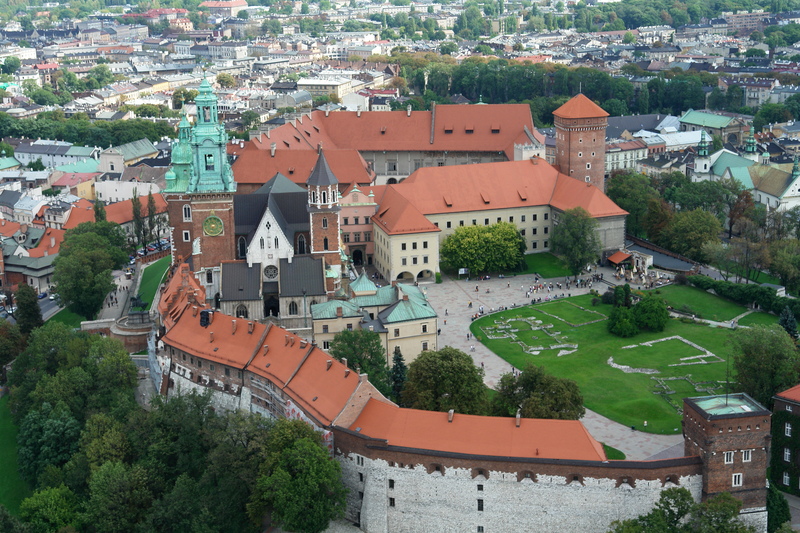 At the time, the Austrian army dealt plenty of destruction, building defensive structures and demolishing the medieval developments of Wawel town. 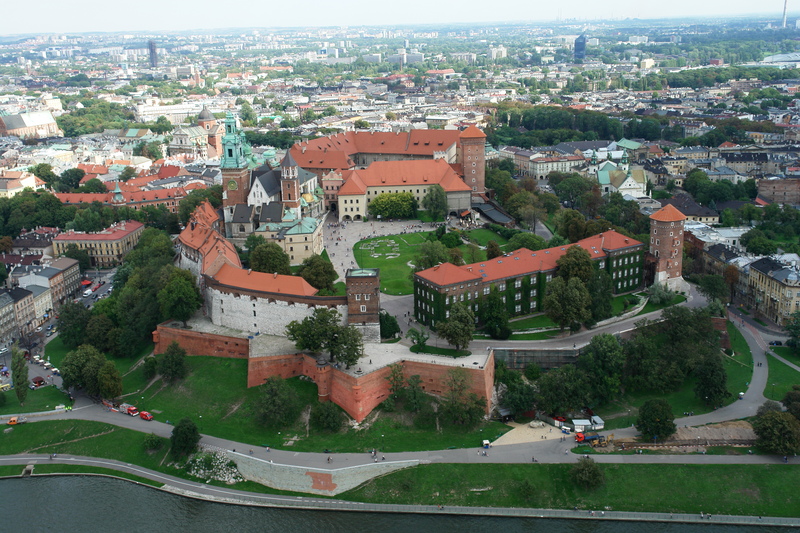 In the mid-19th century, fortified Wawel became the hub of the Festung Krakau (Fortress of Kraków). At that time, Poles learned to appreciate the hill as a significant place of national remembrance and a treasury of heritage that they tried to embrace with special care, despite all odds and vicissitudes. For that purpose, the castle had to be officially recognised as one of the Emperor’s residences. This was not achieved until 1897, at a time when the cathedral was already being restored, yet the restoration work on the castle had to wait until 1905. 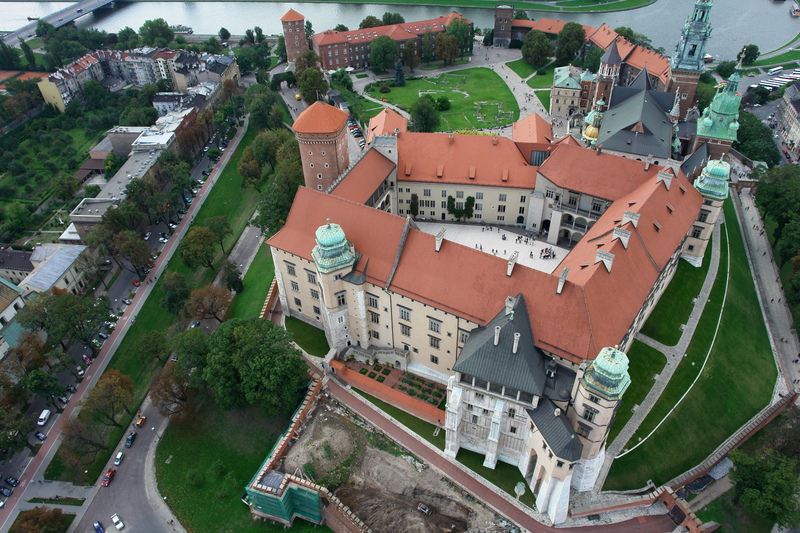 After Poland regained independence, the works continued with the intention of turning Wawel into a stately residence for the head of the state. This was a function Wawel officially played in the 1920s and 1930s, being at the same time a museum of historical interiors, although it was not a centre of central power, which focused on Warsaw. During the Second World War and the Nazi German occupation, the castle became the seat of the General Governor Hans Frank. Luckily, despite all the pillaging, major destruction was avoided. After the war, successful restoration works were conducted and the precious collections of works of art were brought back (including the collection of renaissance tapestries), and Wawel became a stately museum presenting the most precious heritage of Polish material culture.